What is the Coats for Kids Community Fair? The Coats for Kids Community Fair is an event held adjacent to Austin’s popular and historic event, Coats for Kids. Now in its 32nd year, Coats for Kids is a volunteer-driven initiative dedicated to distributing warm winter coats to Central Austin children. The Community Fair provides an additional opportunity for coat recipients to obtain direct services and first-hand information about programs and resources available to them from nonprofit agencies serving the Central Texas community. The Fair is a unique opportunity for agencies to access and serve hundreds of families that meet their targeted service demographic. Together with The Junior League of Austin and the Coats for Kids partners, these organizations can directly contribute to the emotional and physical wellbeing of community members beyond the warmth provided by a winter coat. When and where is the Community Fair held? The Community Fair takes place on Coats for Kids Distribution Day, December 8, 2018, on the Palmer Events Center patio from 8:30 a.m. to 1:00 p.m.
How can we participate in the Community Fair? If you believe that your organization has helpful information or resources for Coats for Kids attendees, we encourage you to complete the Community Fair Application. We will contact you if your organization is selected to participate. What is required of Fair participants? Your time at the Community Fair should be used to educate attendees about your organization and the services it provides. Ideally, attendees will learn the exact steps they can take to get help, including the person to contact, instructions to set up an appointment, and other follow-up items. 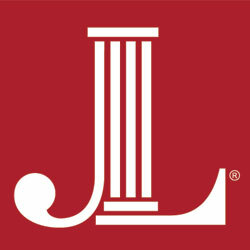 The Junior League of Austin will provide a table with linens; all you have to do is bring helpful information and resources to share and tell your organization’s story. Agencies can distribute flyers, pamphlets and “giveaways”; however, food is prohibited. Participating organizations should supply volunteers to attend to their table, booth or display. Because there will be a large Spanish-speaking population attending the Community Fair, we encourage organizations to supply at least one Spanish-speaking volunteer. Please also note that the Community Fair is outside, so volunteers are advised to dress appropriately for cold weather.